Hiring a law firm to wind up an estate and establishing the cost for services rendered is not as simple as it sounds, finds Angelique Ruzicka. There are a few professionals out there that will dodge the question: “So how much will it all cost?”. Usually it’s the professionals in the service industry that are hesitant about giving you an overall picture of how much their services will cost and these include mechanics, builders and lately as a friend of mine came to discover lawyers do it too. Sometimes I get the feeling that they try to avoid the question so they can charge as much as they humanly can. Of course I am not trying to tar all mechanics, builders and lawyers with the same brush here but experience and observations have led me to conclude that some of these so-called ‘professionals’ really do try to dodge the question for this very reason. A friend of mine recently tried to hire a law firm after her father passed away to manage his estate which consisted of some assets that were based locally (in South Africa) and abroad in Europe. The South African law firm she hired put her in touch with a law firm that specialised in dealing with estates that were based overseas. However, this specialist law firm gave her the run around in terms of how much the overall cost of recovering and distributing the estate would be. Common phrases like ‘it’s difficult to calculate how much it would be’ and ‘it depends on what happens’ were used to steer her off course, but when she eventually pried them for an example of a case they were currently working on. She found out that the bill for another client currently sat at R500,000 and the estate had not been wound up. Needless to say she walked away and found another law firm who were willing to give her a quote. So if you are looking to hire a law firm to wind up an estate, what should you be looking out for and what should they be charging you? According to Meyer de Waal, director of Oosthuizen & Co Meyer de Waal Attorneys, the fee prescribed by the Master of the High Court is 3,5 % of the value of the estate. The remuneration excludes disbursements such as advertising costs, Master’s fees and also excludes transfer costs where immovable property forms part of the estate. De Waal does concede that it can be difficult for an attorney to provide an estimate. “The value of the estate is also not always easily determinable or readily available and the attorney will have to obtain further information first before being able to confirm the value of the estate for purposes of calculating the allowable fee. However, the fee to wind up the estate can be negotiated and we suggest that the attorney, as agent, be allowed the opportunity to study the nature, structure and complexity of the estate before such fee quotation is provided,” he explains. If the estate involves property and/or cash that is based overseas then a certified copy of the will must be obtained and it should comply with the laws of the country in which those foreign assets are based. “The estate must then be wound up according to the laws of that particular country and the executor appointed. This can lead to substantial and unnecessary delays – in particular, if a South African executor has to perform his/her functions overseas,” says de Waal. 1. Obtain an overview of the administration process to wind up the estate. 2. Check on the expertise and skills of the attorney to wind up the estate. 3. Ascertain the estimated period that it would take to wind up the estate. 4. Establish the estimated costs to wind up the estate and the basis on which such costs are computed. Finally, if you are dissatisfied with the services you are getting from the law firm you have already appointed you can take the matter further with the Law Society of South Africa. “If there is a dispute between a client and the law firm, which he/she has hired then the client may approach the Provincial Law Society where the attorney practices to assess the fee payable to the attorney. This usually occurs when the mandate of the attorney is terminated during the winding up process,” says Goga. For further information, feel free to contact Meyer de Waal of Oosthuizen and Co on (021) 461 0065 or email meyer@oostco.co.za. Treasury and Finance Minister, Pravin Gordhan, have identified trusts as an area of risk from a legal and taxation perspective due to the improper manner in which many trusts are being administered (or not administered). 1. Although it is not fatal to have the founder of a trust acting as a trustee, it is vital that the founder transfers control and decision making powers in respect of the trust assets to the trust and not retain same. Ensure that the Trust Deed reflects this transfer of control clearly, otherwise SARS or creditors of the donor or trustees might question the validity of the trust. It is also essential that the trust has its own bank account, as this will aid in proving that the founder and trustees have been divested of control over the trust assets. 2. It is also important to appoint an independent trustee(s) to act together with the other trustees and to afford such a trustee with at least equal decision making powers as the rest of the trustees. This serves as an indication that the trust is not merely a smoke screen used by an individual who actually manages assets for and in his personal interests for e.g. tax avoidance purposes. 3. Ensure that the Letters of Authority or Master’s Certificate is updated, i.e. that all the trustees indicated thereon are current and alive. Should it not be up to date, it is very important to amend these records at the Master’s Office as this may affect the signing of documents on behalf of the trust, especially where the signatures of all trustees are required. If the trust deed requires that a specific number of trustees must be in office one must ensure that the correct number of trustees are “in office” to act as such. 4. Resolutions are a crucial element of trust administration as it keeps record of all the decisions made by the trustees on behalf of the trust. Without a signed resolution authorising a specific action, such action’s validity may be questioned (and in many cases invalid) depending on the trust deed’s content. It is also very important to ensure that resolutions are considered and passed (signed) timeously. E.g. should the trustees want a resolution to have an effect on financial year end, they must ensure that the resolution is passed prior to the specific year end, regardless of whether or not the financial statements and/or audit is ready by that time. This is especially important for tax purposes and in particular when moveable property is sold or purchased. 5. Treasury and Finance Minister, Pravin Gordhan, have identified trusts as an area of risk from a legal and taxation perspective due to the improper manner in which many trusts are being administered (or not administered). Far-reaching changes to the tax treatment of trusts have been proposed, but the implementation thereof has been delayed. They mentioned that a Discussion Paper might first be released prior to implementing the proposed changes. It is therefore the ideal time now to get your trust affairs in order so as to be ready and “cleaned up” for when the legislative changes are effected and SARS starts probing. In our experience, it is vital to regularly conduct an exercise whereby you ask yourself the following questions, inter alia, so as to establish whether or not your affairs are still up to date and in order. It is, of course, important to act on the issues that emanate from such an exercise. We have found that not many people go through the motions of asking themselves these simple, yet significant questions. Are your affairs in order if you should die tomorrow? When last did you revise your will? Who is nominated as the executor/s in your will? Will the administration of your estate be in the hands of strangers who have no or little contact and sympathy with your heirs? Consider to appoint your surviving spouse or family member as the executor of your estate. Are you aware that the majority age is now 18 (it used to be 21)? If your minor children or grandchildren are to inherit, do you have a trust to manage their inheritance? Are you aware of the “roll-over” effect resulting in a R7 million rebate for estate duty purposes? 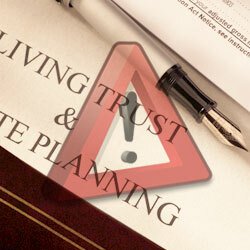 Have you incorporated the said rebate into your estate planning? Do you hold regular trustees meetings? Do you record these meetings? 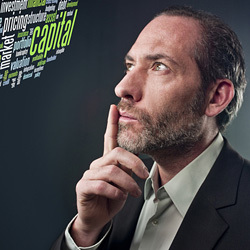 Have you appointed an independent trustee? Do you pass and sign resolutions for decisions made by the Trustees? Are all the Trustees still alive? Have you appointed a successor trustee in your will? Did the trustees make provision who will be the beneficiaries to receive the trust benefit after your death as primary beneficiary? Please contact Meyer De Waal on meyer@oostco.co.za or Samantha Thornhill on Samantha@oostco.co.za for more information of advice on the abovementioned matters. We will gladly assist you in doing this exercise and getting your affairs in order going forward!